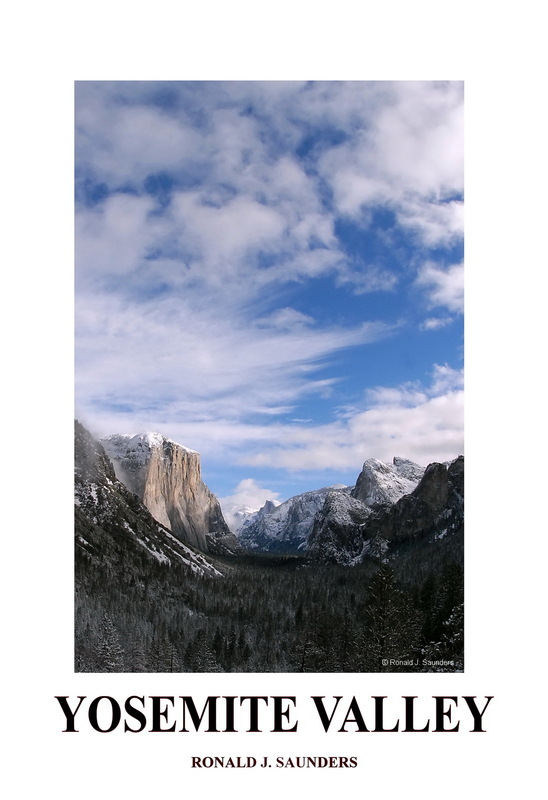 Here is a beatiful print of Yosemite Valley taken from Tunnel View. The cloud formations and the light dusting of snow compliment the natural beaty of the scene. Photo © copyright by Ronald J. Saunders.